Back with a sweet little design today showcasing a Copic Marker/Prismacolor Pencil coloured design with Stacey Yacula’s Joyful Heart Bears. 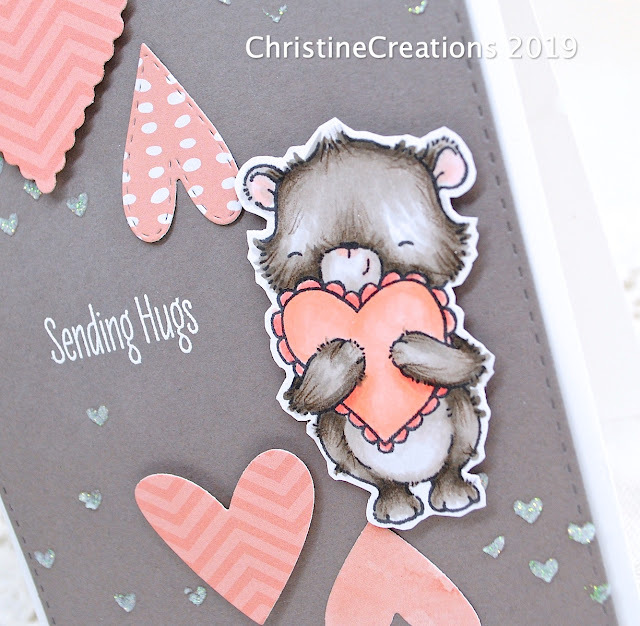 I love this sweet set and this week’s MFT Sketch Challenge was a great one to pair with this image. First he’s coloured up with Copics and then I came in and added the details with Prismacolor pencils to give him that fluffy bear hair. The hearts are die cut with various peachy coloured designer papers. Underneath the main images I added some pretty Glittery Nuvo Paste through a heart stencil. I just want to squishy hug him! Thanks for stopping by! 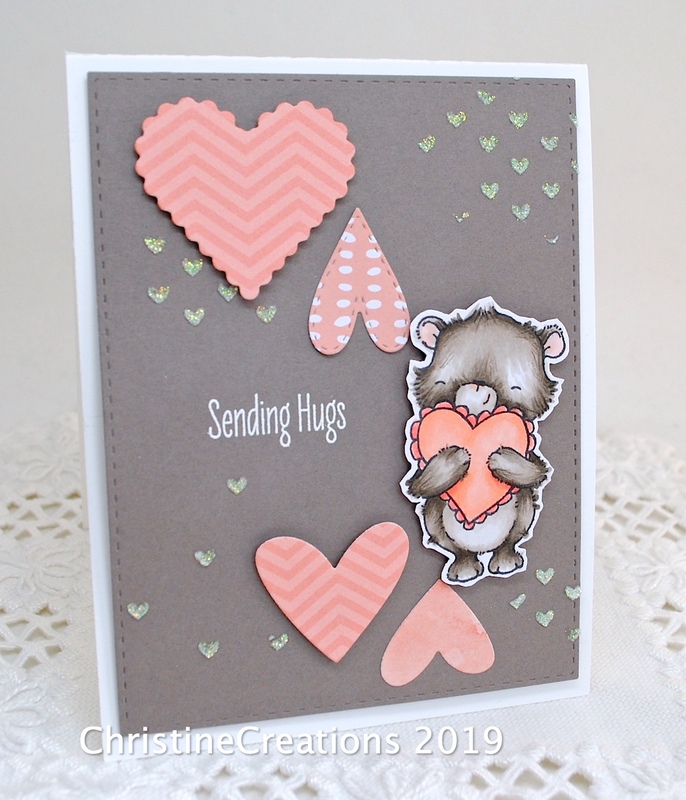 I’ll be back tomorrow with the TCP Blog Hop! 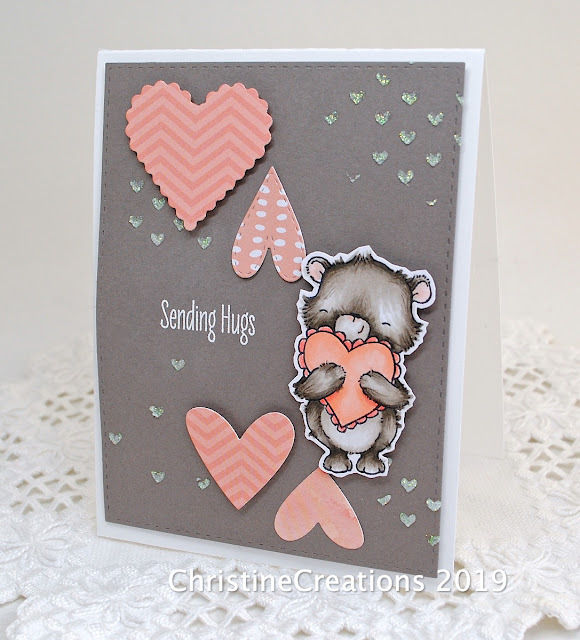 Ohh so very sweet Christine, love this sweet little bear and the way you have added the hearts to the card front in the different textures. Everything about this is sweet, even your picture of the Copics. Something about the colors. Adorable, Christine! so sweet, I love the look of texture you gave to his fur with your coloring! Congrats on winning the MFT challenge! Your card is adorable!